This past Thursday we celebrated the Feast of St. Francis of Assisi, the founder of what is now known as the Franciscans. Photos of the Blessing of Animals in honor St. Francis make the rounds this time of the year. 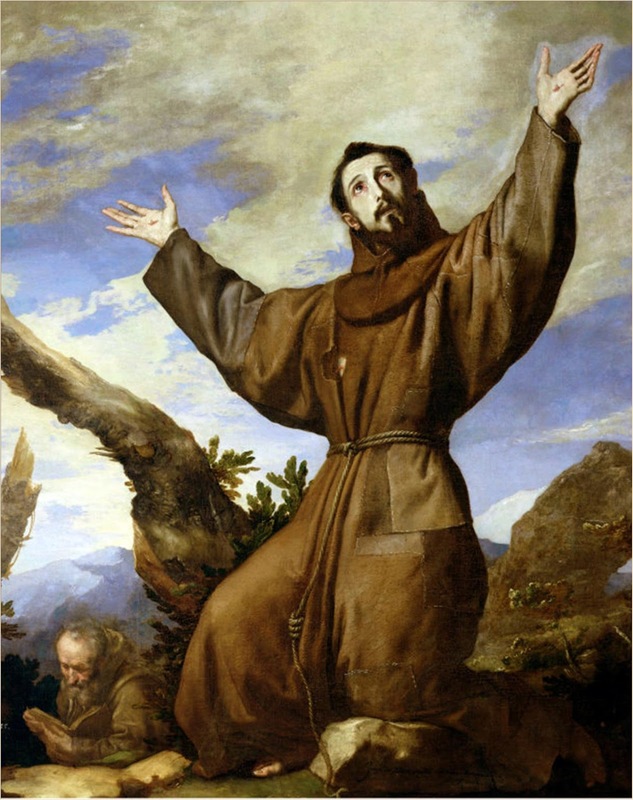 St. Francis himself is frequently depicted with birds, and perhaps what looks like a dog, because he once preached to the birds, and tamed a wolf that was terrorizing a town. He is much beloved by those who love the soft image of one who blesses pets and makes people feel good about their animal companions. But those two incidents are a very small part of the life of a remarkable man called to a unique life and ministry, one which has never been fully imitated by his many followers over the centuries. To say St. Francis was extreme in following the Gospel would be to put it mildly. He read “Sell all that you have and give it to the poor and follow me”, so he did, and lived in abject voluntary poverty all the rest of his life. He read “the son of man has no place to lay his head”, so he lived as one homeless, sleeping on the floors of churches. When he heard Jesus tell him from the cross to “rebuild my church”, he at first took it literally to fix the dilapidated structure he was praying in, until he realized it was a bigger mission of the CHURCH, not just the building. And when he prayed that God would use him as a living example of Christ’s suffering for our salvation, he received the marks of the crucifixion on his own body (see painting above). His life had a unique charism, and he has inspired many people to follow Jesus more closely. His radical reliance on God’s grace and provision would be terrifying to most of us. But his example to be detached from THINGS that draw us from the love of God should motivate us to evaluate our priorities. And Francis’ unmitigated love for Jesus and unabashed joy, should motivate us to a deeper love and joy as well!